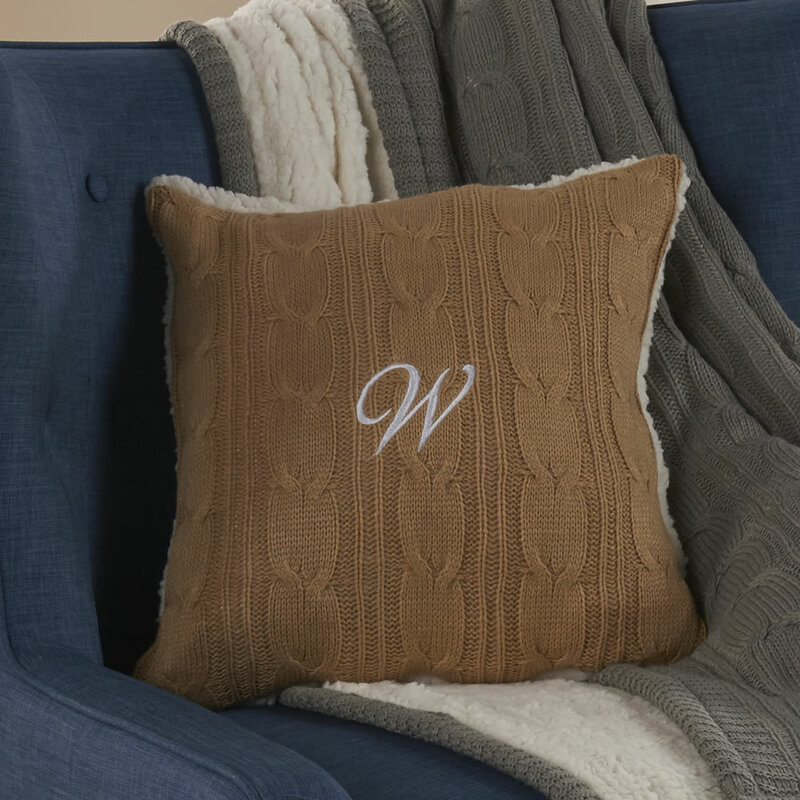 This is the cozy cable knit chenille pillow made all the more elegant with your initials embroidered on its front. Ideal as a snuggling companion on a chair or sofa, the pillow is made from soft, resilient polyester foam. The 100% polyester micro-chenille cover can be removed for machine washing. Embroidered with up to three 2" H script initials in white thread. Camel or Gray. 15" L x 15" W x 5" D. (3 lbs.) Throw Sold Separately.